The Valley of Fire is a part of Nevada history. It is the oldest state park in the state of Nevada and spans close to 35,000 acres of land. Valley of Fire is just 50 miles northeast of the Las Vegas Strip. 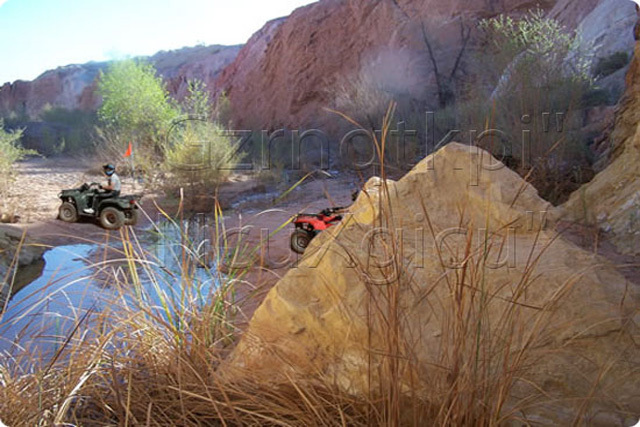 You can enjoy an exciting Valley of Fire ATV Tour every time you visit Las Vegas. Every tour is a new and unique experience so what you see on one tour will not be the same as what you see on a second tour. At the Valley of Fire, you will be able to see the petroglyphs (ancient wall art) of the Ancient Anasazi tribes who once inhabited in the area. There are also many of Mother Nature's natural mysteries present as wind erosion has molded and sculpted the Valley of Fire's most famous locations. This includes a visual tour of Elephant Rock, the sandstone walls, fiery red rock formations, and the 150 million year old sand dunes. You will get to see unusual plants and wildlife indigenous only to this area, as well. You will be kicking up sand in your ATV as the majestic glory of the Valley of Fire encases you in its grasp. Wonder and delight at everything you will see means you simply must not forget to bring your camera with you. There are so many beautiful views of the Valley of Fire you will not want to miss capturing them in a snapshot that will last forever. 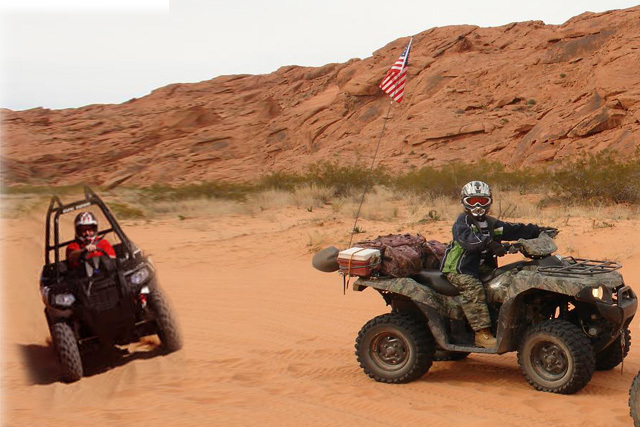 You will receive quite the history lesson on the Valley of Fire ATV Tour. Your informative guide will provide knowledgeable information on the Anasazi, who mysteriously disappeared from existence. The early Mormon settlers heading west also have a history in the Valley of Fire, which you will learn all about on your trip.